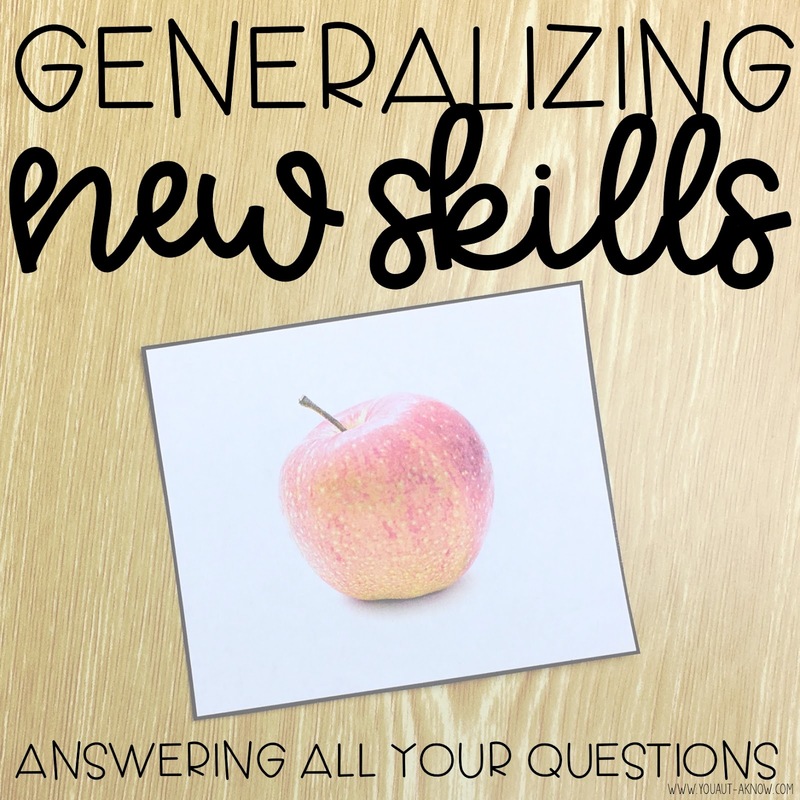 Have you heard a ton about generalizing skills in the classroom? Are you wondering what exactly that is? Are you wondering why it's important? First, let's get a little background. When we teach our students through Discrete Trial Teaching we are using an Evidence Based Practice for Autism, but we are also using just one target for teaching our students. For example, if I'm teaching my student a vocabulary lesson and I use this card for the target word of "apple", this is the apple my student will automatically recognize. Is this the only apple that exists in the world? No. And that right there is why we need to teach our students to generalize the skills were are teaching in our classroom. 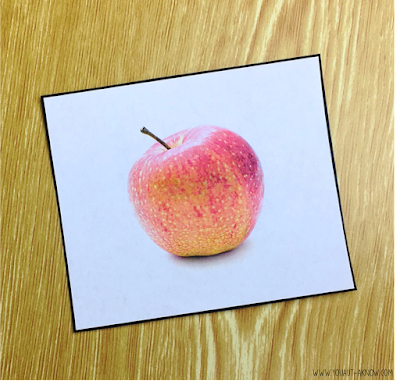 In fact, there are many apples in many shapes, colors, forms, etc. in our everyday world. There are real apples, cartoon apples, apple trees, apple bushels. 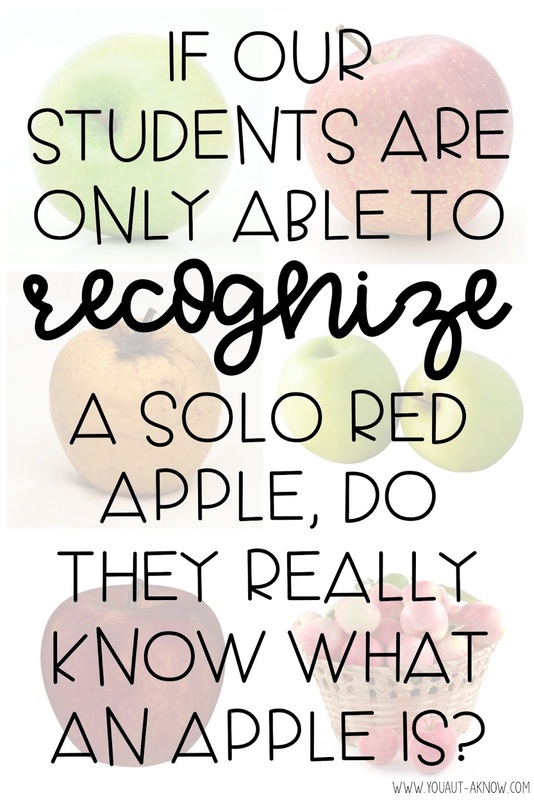 There are so many kinds of apples that if our students are only able to recognize a solo red apple, do they really know what an apple is? Generalizing skills is an important component of any classroom that uses direct teaching as a technique. Basically, whenever we are teaching students a new concept, we need to give them opportunities to apply this new learning throughout their classroom. Why is generalization important you ask? Generalizing gives our students a chance to truly master a skill. What does it mean to master a skill? That means our students are able to generalize that item (be it a vocabulary word, written word, color, etc.) across a variety of people, locations, and materials. It makes the learning that is happening in our classroom concrete and something that our students can own for themselves. How do I increase generalization in my classroom? My classroom runs in a center model. Students rotate through a number of centers a day and the aim at many of our centers is for students to generalize the skills they have learned through their 1:1 rotations throughout the day. When they are at a generalization center, my paraprofessionals or I help with activities students have mastered through those 1:1 teaching sessions. This is a new location in our classroom which helps students transfer their skills to a new setting. Often times, this is also with a different person who has done the 1:1 teaching, so we are transferring the skills to a new person. Lastly, we are using a variety of different materials to target the skills students have been learning, so we are transferring the learning between different stimuli. Let's take an example of a student who has recently mastered identification and reading of 5 new animal names in my classroom. My student is then going to work on generalizing these skills during their center rotations. I have loaded folders and buckets of work that they can complete during their reading center that focuses on this skill. 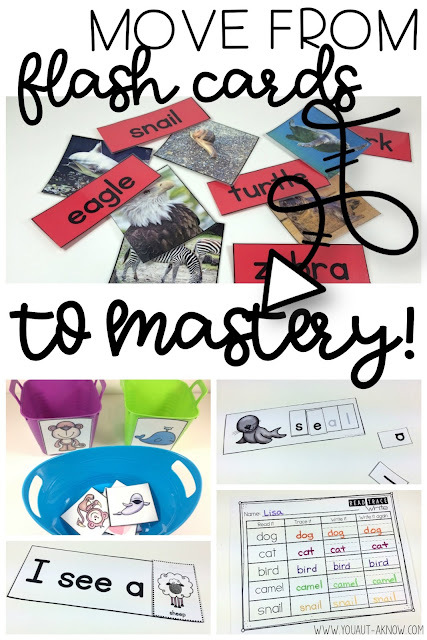 When the student rotates through centers, they will be presented with a variety of tasks that all focus on the new animals they have learned through 1:1 teaching. Then, once students have reached mastery criteria during center rotations, their work will be moved the our independent work centers and they will complete the work independently. 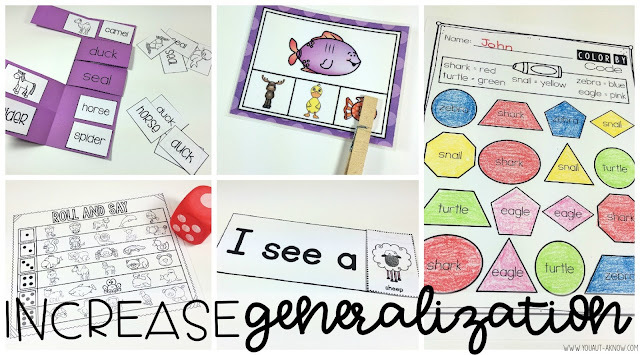 How do you promote generalization in your classroom? 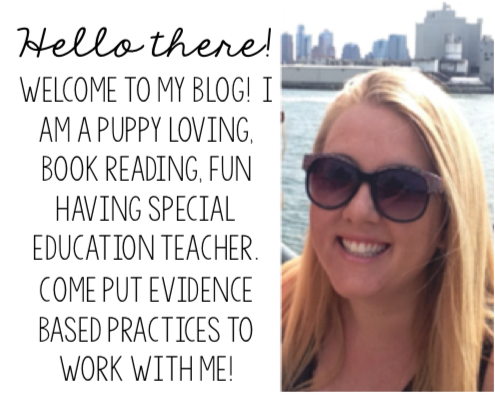 How can I help you build these skills in your classroom? Drop me a comment and let me know how I can help you with this skill!